A leading expert on big data architecture, infrastructure, and technical operations, Stephen brings over 20 years of experience creating scalable, high-availability, data and applications solutions. He has deep experience in Hadoop usage and architecture and other cutting-edge open source solutions. Prior to SVDS, Stephen created and led the next-generation data platform team at Walmart Labs as a Senior Director. He and his team architected and designed the data platform used by all of Walmart’s e-commerce business units. Stephen evaluated, made recommendations and built solutions to address Walmart’s needs in security, high availability, scalability and performance. 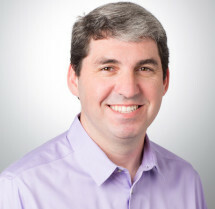 Prior to Walmart Labs, his tenure covers over three years as Director of System Engineering at LiveOps, running data, reporting, and API teams; three years in data management at Yahoo’s search group; and eleven years as a Senior Engineer at Sun Microsystems. Stephen is a patent-holder and a sought-after presenter at major industry conferences. Building or rebuilding a data platform can be a daunting task, as most questions that need to be asked have open-ended answers. But that doesn’t mean you have to guess and use your gut. Several of our presenters were interviewed at Strata San Jose. If you missed the conference, check out these interviews below to catch up on some of the topics that were on our minds. Building or rebuilding a data platform can be a daunting task, as most questions that need to be asked have open-ended answers. This post aims to help. Check out the slides from our recent presentations at Data Day TX and Graph Day. Graphite is a tool that does two things rather well: storing numeric time-series data (metric, value, epoch timestamp), and rendering graphs of this data on demand. Several of us will be presenting and we’d love to see you there. Join us for our tutorials and sessions, or come visit us at our booth in the Expo Hall. SVDS presents two sessions at Hadoop Summit: one that maps the central concepts in Spark to those in the SAS language, including datasets, queries, and machine learning; and a look at how to choose an HDFS data storage format: Avro vs. Parquet and more. SVDS presents two sessions at StampedeCon: one that examines the benefits of using multiple persistence strategies to build an end-to-end predictive engine; and a look at how to choose an HDFS data storage format: Avro vs. Parquet and more. What are the essential components of a data platform? SVDS presents a tutorial that will explain how the various parts of the Hadoop and big data ecosystem fit together in production to create a data platform supporting batch, interactive and real-time analytical workloads. Join us for a demo and talk on our Caltrain Rider app, which presents an intuitive view of the Caltrain systems using data from our own sensors (video, audio) combined with publicly available data from Twitter and the Caltrain API. Join CTO John Akred for a talk on Running Agile Data Science Teams, and VP of Engineering Stephen O’Sullivan for a talk on Choosing an HDFS data storage format (Avro vs. Parquet). Principal Engineer Mark Mims will hold Office Hours. Many of us will be at the Strata Conference + Hadoop World 2016 in San Jose, and we’d love to see you there! Several of us will be at Enterprise Data World 2016 in San Diego. We’d love to say hi, and hear your thoughts. Several of us will be presenting, talking about platforms, strategies, and tools. We’ve love to see you there! Join us for our tutorials and sessions, or come ask questions during our Office Hour. Join us as CTO John Akred gives a talk on alternative approaches to valuing data within an organization, and Data Scientist Chloe Mawer demonstrates the power of Jupyter notebooks using a real-world train-detection problem. We’ll also present a tutorial on building data pipelines with Kafka and Spark. Several of us will be in Chicago this year, presenting tutorials on data strategy, data platforms, and how to manage data science in the enterprise. CTO John Akred will also be taking part in a panel about how to strengthen your data strategy skills. We’re heading to Texas in January to talk about data pipelines with Kafka and Spark. Many of us will be at Strata in San Jose, and we’d love to see you there! Come learn more about data platforms, data strategy, business tools, and more. Enterprise Data World focuses on data-driven business. Several of us will be there this year, talking about data platforms and enterprise data science. Let us know if you’ll be there, or you can sign up to receive our slides. DataEngConf features talks and workshops aimed at bridging the gap between data scientists, data engineers, and data analysts. We’ll be there, giving tips on choosing the right format for your data. This year we’re teaming up with Red Hat to discuss analytics frameworks, and how you can get the most out of your data. Strata + Hadoop World London focuses on how to make data-driven decisions across industries. Several of us will be there in May, discussing platforms, strategy, and tools. Let us know if you’ll be attending and would like to chat. Join us at our Spark Summit sessions in San Francisco, where we’ll be giving a tutorial on data platforms, as well as sessions on PySpark and Graph Algorithms. Find CTO John Akred, VP of Engineering Stephen O’Sullivan, or Principal Data Engineer and Spark Contributor Andrew Ray to talk more. Stephen O’Sullivan, VP of Data Engineering at SVDS, is the featured guest speaker at this event hosted by The Data Lab at the Balmoral Hotel. The Strata Data Conference is where cutting-edge science and new business fundamentals intersect—and merge. Several of us will be there in September, discussing platforms, strategy, and tools. Let us know if you’ll be attending and would like to chat. The Data Architecture Summit provides in-depth education from leading experts specializing in data architecture. We will be there discussing data platform and data governance. Let us know if you you’ll be attending and would like to chat.